Rather than go big to reach candidates on social media, consider taking a more targeted approach across platforms to reach talent that meets your criteria. If you’re looking for top candidates to help grow your business, social recruiting is key. While social media platforms are increasingly one of the best ways to find them, these platforms can help simplify your social media strategy. According to the Pew Research Center, more than a third of people who use social media have used it to look for or research jobs, while more than 20% have applied for a job they learned about through social media. It’s a great way to get your message directly to top candidates, if you do it right. Even better -- your social media strategy can be both talent-focused and customer-focused. Here’s how to do it at your company. It’s tempting to want to cast as wide a net as possible. Think again, says Brooke Zambroski, former social media specialist at Monster. Zambroski says it’s important not to spread yourself too thin. “Trying to be everywhere on social media often means you don’t succeed anywhere,” she says. Instead, get to know each platform and determine which is the best fit. Social media platforms are crowded. To be noticed, you need to make a quick case about what makes your organization special. “Be very clear with who you are as a business, what your business does and how your company adds value to its social media viewers,” says Wade Pierson, owner of Impact Talent Ventures, a talent-management firm in Medford Township, New Jersey. To attract the kind of followers who are interested in working for you, Pierson suggests building a consistent employer brand message around your company mission, niche and company culture. With every job description, include clear instructions on how to further engage with the company, he adds, whether it’s to comment, ask a question or apply for a job. Your employees have friends -- people who are similar to them and who may be a good fit for your company. And chances are your employees are connected to those friends on social media, and those friends have an audience as well. Making it easy for your employees to share information about jobs at your company will help reach a targeted audience of possible candidates – and boost your company’s recruiting results. “There’s no magic here other than an internal campaign to encourage your employees to share the social job postings often, and make it easy for them to do so,” says Fletcher Wimbush, CEO of The Hire Talent in Brea, California. Wimbush recommends emailing employees periodically with a shareable link to current openings and a reminder to share with their friends. Sharing your job openings all the time can turn a social channel into a job board, and that takes away the point of social media: sharing and conversation. Create a social media strategy that's interesting enough for people to come back often. Post original content and expert information that engages readers, Pierson says. 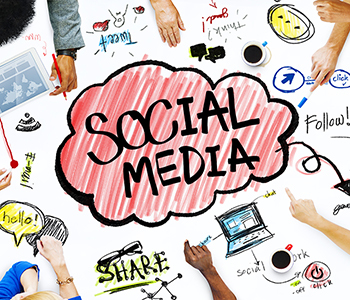 Social media can help you do more than recruit candidates -- it can help lure customers as well. With a strong enough social employer brand, you can grow your audience and even turn people who are already employed into prospective candidates down the line. Attracting customers and employees uses a lot of the same tactics, Zambroski says. “Be authentic and show what makes you different. So if you’re taking the time to build an employer brand, you are giving a sneak peek into your small business,” she says. “This helps customers trust you more and see you as human -- rather than a faceless company.